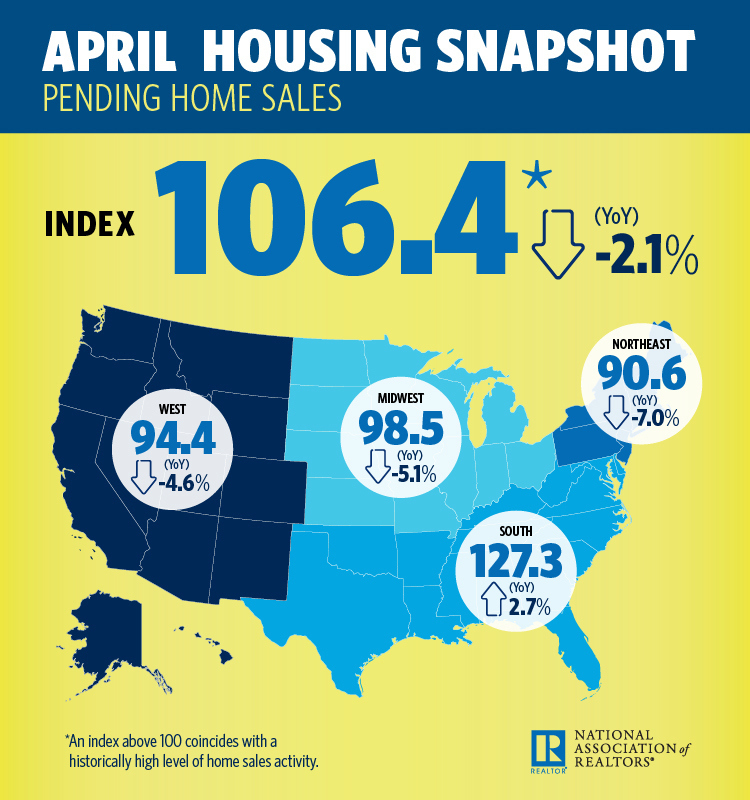 The National Association of Realtors (NAR) Pending Home Sales Index (PHSI), a forward-looking indicator that tracks home sales in which a contract is signed but the sale has not yet closed, decreased 1.3 percent in the month of April to 106.4, down from an upwardly revised 107.8 in March. NAR chief economist Lawrence Yun said continued inventory shortages are to blame for declining pending home and existing home sales. April’s PHSI is 2.1 percent lower than last year — the fourth consecutive month of such declines. Looking forward, Yun predicts 2018 existing-home sales to be around 5.54 million — up from 5.51 million in 2017. The national median existing-home price is expected to increase around 5.1 percent. As the summer homebuying season kicks off, Yun said an impending uptick in mortgage rates this summer may hinder would-be buyers from jumping into the market and further hinder sales. “The combination of paying extra at the pump, while also needing to save more for a down payment because of higher rates and home prices, may weigh on the psyche of those looking to buy,” he said. The PHSI in the Northeast remained at 90.6 in April and is 2.1 percent below a year ago. In the Midwest the index decreased 3.2 percent to 98.5 in April and is 5.1 percent lower than April 2017. Pending home sales in the South declined 1 percent to an index of 127.3 in April but is still 2.7 percent higher than last April. The index in the West inched backward 0.4 percent in April to 94.4 and is 4.6 percent below a year ago.